Thousands of Academic Libraries Use Springshare's Librarian-First Platform For Library Success! Transform Students Into Successful Library Users. Build Closer Relationships With Faculty. Integrate Library Resources in Courseware. Effectively Communicate With Your Users. Springshare's tools help librarians provide more effective and efficient assistance to students (both online and on campus) in successfully completing their academic coursework. We help you turn students and faculty into successful - and frequent - library users. Use LibGuides for showcasing library resources for specific subjects and courses, and for embedding them into courseware. With E-Reserves to boot, integration has never been easier. With so much stuff out there, students don't know where to start. Create helpful LibGuides, build-self paced LibWizard tutorials & assessments, and use LibAnswers to answer students' questions via chat, sms, Facebook, Twitter, or email. LibCal's rooms, spaces, and equipment reservations help students quickly find a comfortable place and the equipment they need. With embedded hours widgets they will always know when the library is open. Erase the distance barrier. 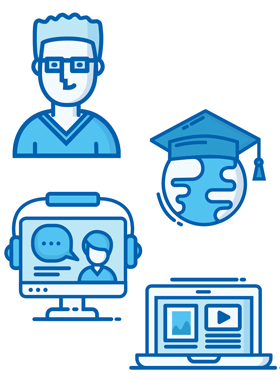 Create self-paced learning tutorials with LibWizard and embed relevant LibGuides and E-Reserves right in. Using LibAnswers, their questions are as easily answered as if they were right inside the library. The Springshare platform is your ideal solution for off-the-charts amazing library instruction workflows. Create guides and relevant instruction content in LibGuides. Use LibWizard for faculty instruction request forms and quizzes & assessments for students. Add a post-instruction survey, too! LibCal's event management and room reservations helps you effortlessly schedule and promote instruction with no conflicts. Analyze instruction statistics with LibInsight and perform cross-dataset analysis like the pro that you are! 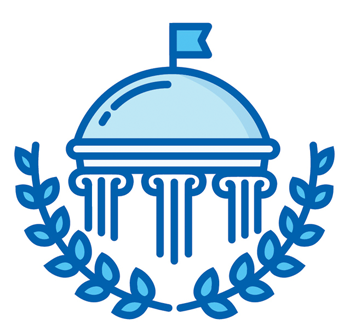 Our Platform helps you build stronger relationships with faculty. Tailor library offerings to the faculty and demonstrate how you can help them with teaching and research. 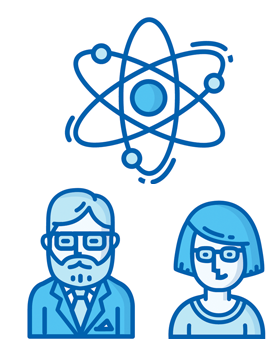 Each Springshare tool gets you closer to the faculty in a unique way. Taken together, Springshare tools are the best way to "get in front" of faculty and build deeper, more meaningful relationships with them. Collaborate with faculty on creating guides in LibGuides CMS with dedicated faculty accounts and embed library resources in courseware via LTI. Use LibAnswers Queues to offer dedicated research support for faculty and researchers - be available whenever they need help. Build and distribute forms for faculty using LibWizard - feedback forms, e-reserves requests, instruction requests, etc. Gain a deeper understanding of each faculty member and their specific research needs via LibCRM profiles and use our built-in project management and collaboration tools. LibAnswers is the most feature-rich communication platform for libraries. It handles any communication channel and social media engagement. Create dedicated Queues for various departments, build and maintain effective FAQs, and more! LibWizard's feedback forms and satisfaction surveys are at the core of successful communication - the best way for users to tell you what they think. Blogging functionality and discussion boards in LibGuides CMS are great community engagement and communication tools at your disposal. The Systems & Services Management module in LibAnswers is a simple and effective way to keep your community apprised of the status of the library's systems and get their thoughts on functionality enhancements and desired features. 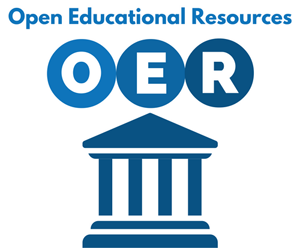 The Open Educational Resources (OER) initiative is a great way for libraries to take a leadership role in helping the faculty and administration lower textbooks costs. Springshare gives you the tools you need to be an active participant in the OER conversation. Join forces with faculty to build and share OERs using granular access permissions in LibGuides CMS. Embed relevant open resources with rich multimedia and promote library resources directly pulling from your LibGuides' Databases A-Z list. Embed the guide OERs into courseware and distribute them anywhere else with LibGuides widgets. Document which faculty have OER LibGuides and run reports in LibCRM on who has OER content available for students. Funnel all OER-related questions to a dedicated LibAnswers Queue and use LibWizard to create an OER Request Form and to run OER satisfaction surveys. The Springshare platform is not only outward-facing. We also help your library improve workflows and empower staff to work more effectively. Use LibGuides CMS to create a staff intranet with groups, documentation, and everything you need for effective internal communication. Managing service-point staffing and student worker schedules has never been easier with LibStaffer - it's all there for you! Move internal discussions and news reporting to the cloud with LibGuides CMS blogs and discussion boards. Statistics-gathering. Data Analysis. Better Decision Making. LibInsight. 'Nuff said. Everything under one roof. One account for each librarian to utilize all Springshare tools. With so much versatility and power at their fingertips, the librarians will be able to spend more time on projects that truly make a positive difference in your library! From gathering relevant statistics to presenting the data in an engaging way, the Springshare platform gives you everything you need to demonstrate your library's value to the community at large. With LibInsight, you have one centralized platform to keep track of all library statistics. Use Cross-Dataset Analytics and Interactive Dashboards to create "the story" of your library's impact. LibCal provides tangible evidence of how many events the library held, their attendance, the utilization of rooms, spaces, & equipment, how many research consultations were held, as well as how many instructional sessions. The importance of LibCal's statistics in telling your library's story cannot be overstated! For reference statistics and communication, LibAnswers gives you the best bang for your buck. Social media engagement statistics: check. Reference Statistics: check. FAQ viewership: check. Chat and Email help statistics: double check. It's all here. LibGuides CMS statistics provide support for the library's Instruction and Information Literacy programs. Viewership stats on A-Z lists, the library website, guide usage, LTI/courseware access... LibGuides' statistics capabilities are second to none!